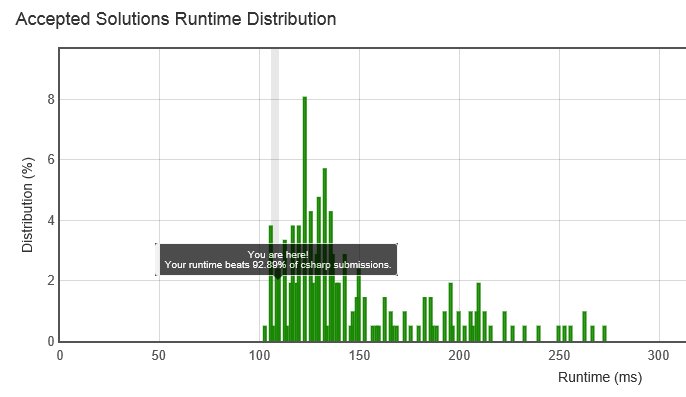 The current implementation beats 87% C# submission, runtime: 112 ms, my last practice only beats 25.59% C# submission. I also value the good performance result and this practice just accidentally showed me a possible good design. I enjoyed the practice because I ran into time out-of-index error, so I put some defensive checking of index-out-of-range 3 times, the first one is begin < end in first nested while loop, the 2nd, 3rd checkings are added without hesitation. In detail, 2nd is end >= 0 in the second nested while loop, 3rd is if(start >= end) after the nested two while loops. 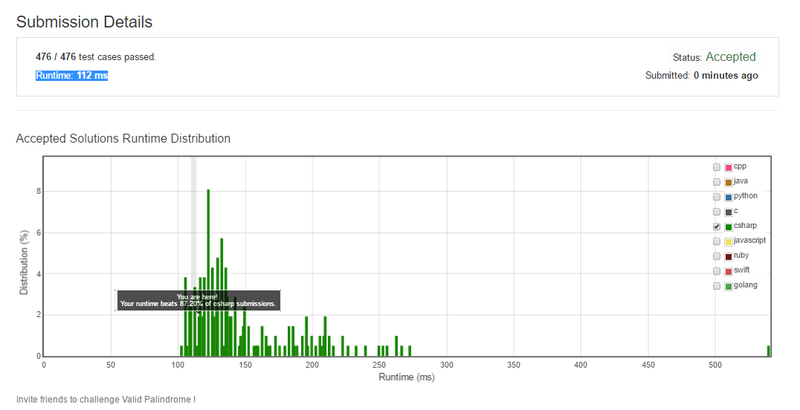 And surprisingly the performance is much better than the one filtering nonalphanumeric characters first using O(N) time (N is the string's length). I am open to the advice of performance, coding guidelines, nested while, defensive checking etc. I did some study in June 2016 about coding strategies, because I failed my first practice of Leetcode 125, I got so many options, use while/if, nested while, or flat code. I did not have a good understanding what is important. At the beginning, I say no to nested while loop, try to make the code more flat to left side, since I studied cyclomatic complexity and learn to lower the cyclomatic complexity of the function. The C# code passes leetcode online judge. The algorithm looks fine, but you have unconventional code, dead code, and verbose code. The C# convention is to use PascalCase (starting with uppercase) for function names. Function-level documentation should be written in /// comments. fiterOutNonAlphanumbericaCharacters() is unused. It is also misspelled, by the way. AlphanumericFilter(string s) would have been a better name, if you had needed such a function. In IsPalindrome(), the rawString.Length == 0 special case is unnecessary, and wouldn't help improve performance by any noticeable amount. You should drop useless special cases, since they clutter up the code and prevent you from demonstrating that the general-case code also works for degenerate cases. For that matter, I would drop the rawString == null check as well, since it is philosophically debatable whether the absence of a string constitutes a palindrome. The main loop in IsPalindrome() would be better written as a while (true) loop, as the while (start < end) condition is redundant. In fact, I would rewrite it as a for loop, both for compactness and readability. Parameter names can be shortened (anyChar → c, and rawString → s). /// only alphanumeric characters and ignoring case. /// Check if the char is in one of the ranges A-Z, a-z, or 0-9. Not the answer you're looking for? Browse other questions tagged c# performance algorithm programming-challenge palindrome or ask your own question.